It took an awful lot of research to find a vegetable scrubber that we were happy with. 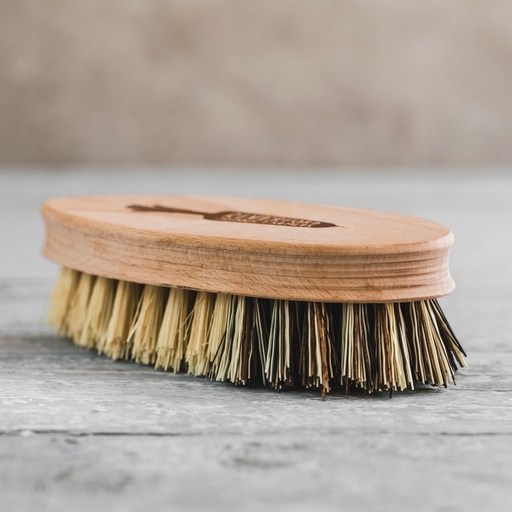 We finally alighted on this veg brush, made from untreated beech wood and natural plant fibres (with no glue). It cleans gently and thoroughly, with a hard side for roots and a soft one for more delicate veg. A veg box essential.